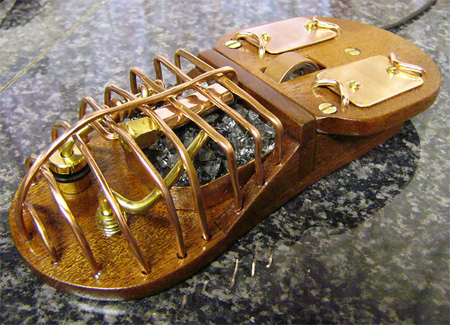 Over at the Steampunk Forum, Unklian recently showed his most magnificient Steampunk mouse mod! With wonderfully detailed and forthright photographs and descriptions on how he went about making it at his site, you’ll see how he made a glowing, ember-filled furnace for this wonderful Babbage accessory device. However, it seems that Unklian has been bitten by the Steampunk bug and has already set about making an improved Mk2 version – the work in progress can also be found on his site. Do take a look at the other photographs – in particular the ones showing the ‘furnace’ at full blast! Fantastic work, Mr Unklian – good luck with your next one!